From June 18, 2011- May 2012 the installation River and two of Mags Harries’ glass objects from her Projections series will be on view in the exhibition Ripple Effect: The Art of H2O at The Peabody Essex Museum’s interactive Art & Nature Center. 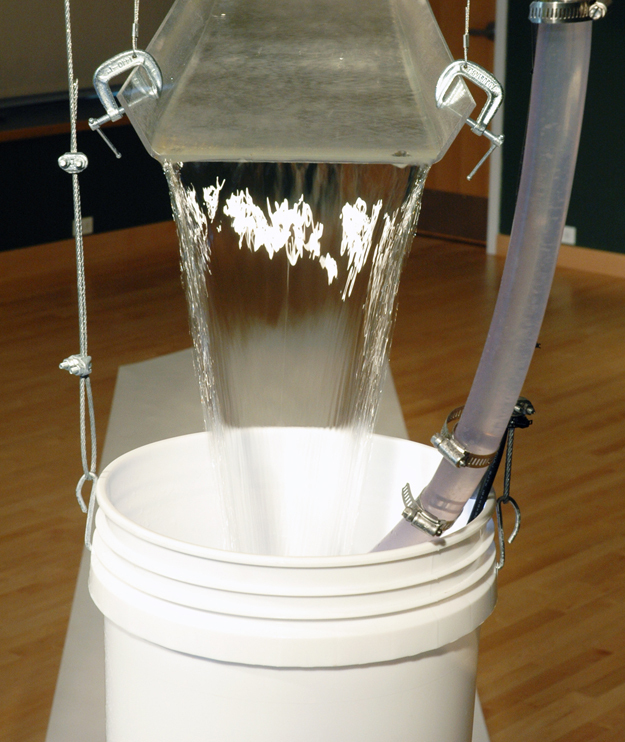 The exhibition highlights water as a medium for artistic expression and hands-on exploration. Visitors encounter water in its different states– solid, liquid and gas–as they investigate artworks inspired by rivers, geysers, snowflakes, fog and more. Water’s allure to contemporary artists as a creative medium is compelling, especially in light of the unique life-giving properties of this substance we so often take for granted. 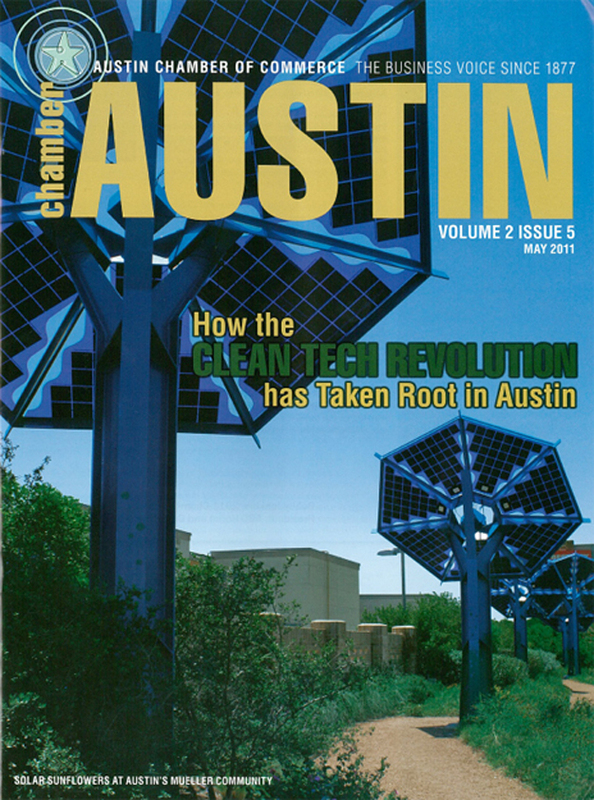 SunFlowers, An Electric Garden appears on the cover of the Austin Chamber of Commerce’s May newsletter. The newsletter focuses on green energy in Austin, TX.